Lawmakers riled up by higher education costs want to regain their control of setting tuition at state colleges and universities. But at most schools, tuition has gone up more slowly since the schools took over the job, a Tribune analysis shows. Riled up about tuition costs at state colleges and universities, some lawmakers are eager to dump a 2003 law that allows institutions and university systems to set their own tuition. Before 2003, the Texas Legislature controlled tuition rates, and the idea of returning to that system is drawing bipartisan support from legislators hearing loud complaints from voters about spiraling student debt. But some university officials are pushing back, including Texas A&M System Chancellor John Sharp, who told the Senate Finance Committee earlier this session that tuition and fees have increased at a slower rate in the A&M system since the state deregulated it. Tuition data from all public, four-year universities in Texas shows that the same is true for most schools in the state. At only nine of the state’s 38 four-year public institutions did tuition and fees go up at a higher rate after 2003 than they did in the decade before it, a Texas Tribune analysis shows. The nine, according to tuition data from every public university in Texas reviewed by the Tribune, are Stephen F. Austin State University, Texas A&M University-Commerce, Texas A&M University-Texarkana, Prairie View A&M University, West Texas A&M University, the University of Texas at Brownsville, the University of Houston, the University of Houston-Downtown and the University of Houston-Victoria. Those nine have tuition and fees lower than, or relatively close to, the state’s average, and also had a starting base much lower than other universities. The other institutions — including heavyweights the University of Texas at Austin and Texas A&M University in College Station — saw tuition and fees grow at a slower rate from 2003 to 2013 than they did from 1993 to 2003. State Sen. Charles Schwertner, R-Georgetown, has authored a bill that would re-regulate tuition by capping increases at the rate of inflation, and has launched a “petition website” — texastuitionfreeze.com — where the public can show support for his bill. Schwertner said in a statement that his bill "doesn't have anything to do with re-regulating tuition, just limiting the rate at which tuition is permitted to grow under the deregulated model." 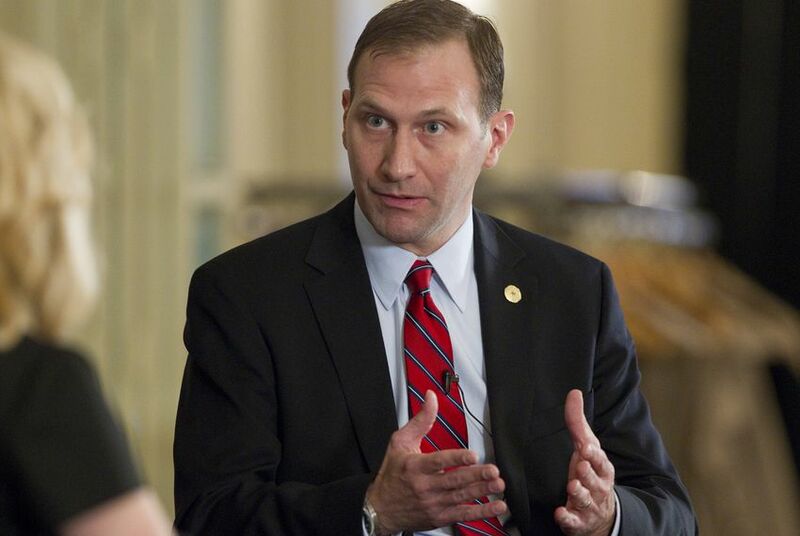 "The rapidly growing cost of higher education should be a substantial concern for the entire state of Texas, regardless of whether those cost increases were authorized by the Texas Legislature or a university's Board of Regents," he said. In response to Schwertner's bill, Brian McCall, Texas State University System chancellor, said he hoped the Legislature increased state funding for higher education. "What Dr. Schwertner I hope is going to do if he in fact re-regulates is go back to the funding levels prior to deregulation from the state," McCall said at a Texas Tribune event. "The money's got to come from somewhere. From students or from the state. That's it." State Rep. Mary González, D-Clint, has also filed a bill that would re-regulate tuition. González said she believes many universities have been forced to increase tuition as state support has fallen. At UT-Austin, for instance, the percentage of state support in the university's budget fell from 47 percent in 1984 to 12 percent in 2014. "My efforts in re-regulating tuition is primarily based in trying to put pressure on the Legislature to fund institutions of higher education," González said. "I think universities were put in a bind to increase tuition and fees because they were not getting the same amount of support from the state." Senate Higher Education Committee Chairman Kel Seliger, R-Amarillo, and Sen. Rodney Ellis, D-Houston, have both also filed legislation that would re-regulate tuition. Seliger's bill would tie tuition increases to performance measures, and Ellis' bill would cap tuition and require universities to get approval from lawmakers before raising it. When testifying before the Senate Finance Committee, University of Texas System Chancellor William McRaven asked lawmakers to keep tuition deregulated. "I would ask that we continue to keep the deregulation, but as always you need to hold us responsible for ensuring that we provide the most affordable education that we can to the young men and women of Texas," McRaven said. Disclosure: The University of Texas at Austin, Texas A&M University and the Texas State University System are corporate sponsors of The Texas Tribune. A complete list of Tribune donors and sponsors can be viewed here.